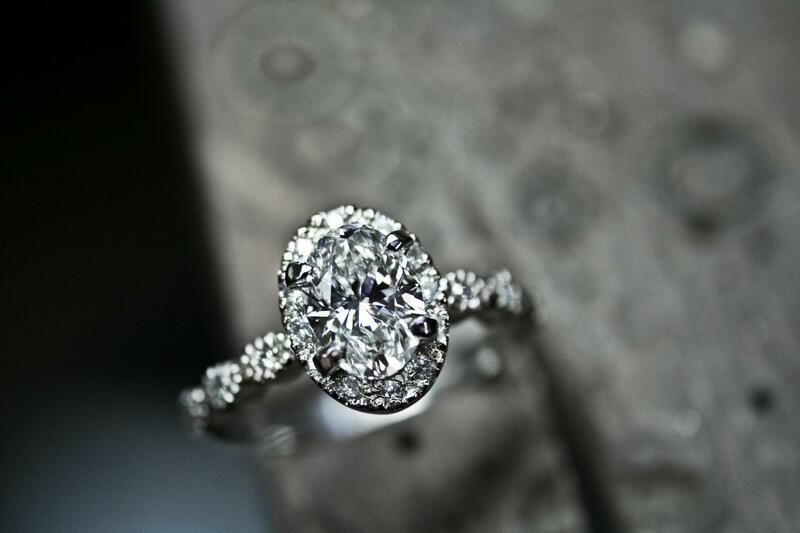 A 1ct Flawless oval diamond steals the show in this vintage style ring. 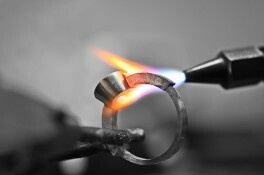 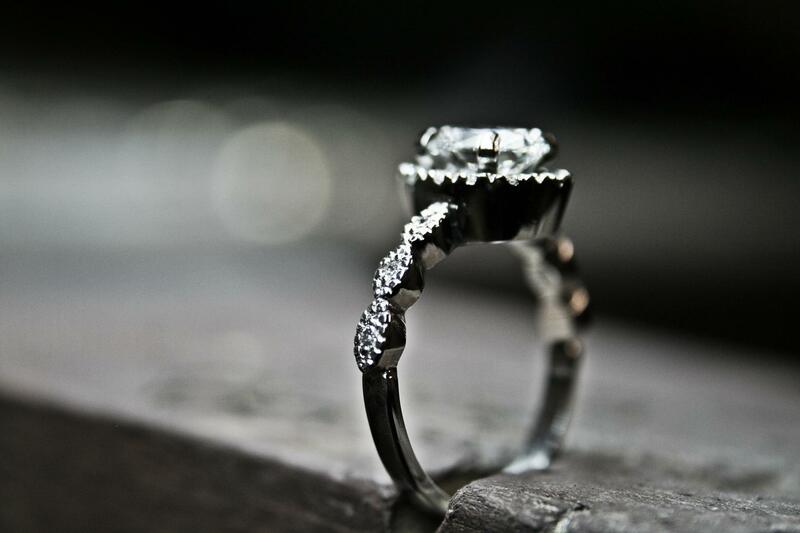 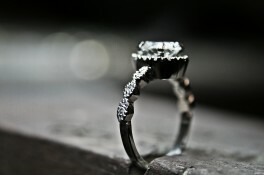 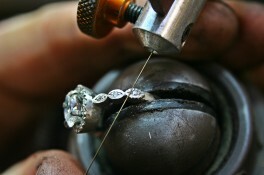 The ring is handmade out of platinum with micro set diamonds around the main stone. 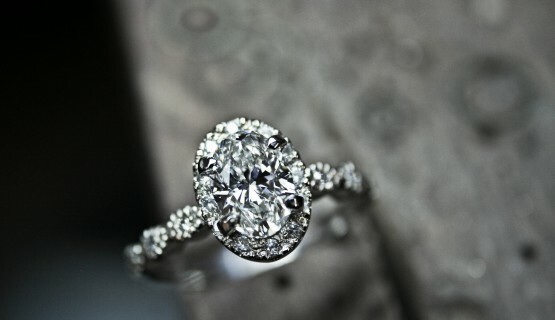 The shoulders have been carved into oval segments with a miligrain edge for that vintage feel, each oval housing a small diamond.